The FBI provides a service which gives individuals an identity history summary using their ‘fingerprint card’. What this proves is the individual’s criminal history, if there are any crimes committed. If any crimes are found to be related to that individual then details including: agency that submitted the fingerprints, date of arrest, the arrest charge and disposition of the arrest can be found on the identity history summary. This information is interlinked to fingerprints due to if an arrest is made fingerprints are required to be taken, the following charges will then be added to your identity history sheet. This sheet can also be referred to as a ‘criminal record’ which it is known as in the UK, in America it can be known as a ‘rap sheet’. Identity history summary or ‘rap sheet’ is strictly confidential and can be only accessed by people such as enforcement officers, judges, prosecutors and defence attorneys, this differs from a public criminal record which employers and landlords have access too. Private companies compile this information into an informal criminal record that employers, landlords, and other people can access by paying a fee. These are also known as consumer background checks. Most jobs will require you to declare any criminal convictions, but some specific jobs like military service or federal employment will require you to provide a ‘rap sheet’ supplied by the the FBI. To apply for you identity history summary visit https://www.edo.cjis.gov/#/ where they have a 7 step process in order to obtain one at the cost of $18. They also provide a step by step process in order to challenge any information on your identity history summary. As mentioned before, the majority of this application relies upon a ‘FBI fingerprint card’ this is a pdf form where all fingerprints from your right and left hand must be deposited onto paper using ink, an alternative way to submit your fingerprints is by a live scan device. 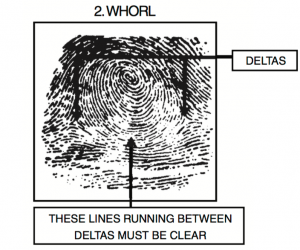 When depositing each individual fingerprint on the card a rolled impression should be done, this should then be followed by an impression of all 10 fingerprints taken at the same time. These can be deposited by just doing a plain or flat impressions. The most important thing to look for when doing your impressions is making sure the ridge detail is clear and not smudged, the picture shown is what you should look out for when depositing your fingerprints on the paper. If possible, have your fingerprints taken by a fingerprinting technician, this will eliminate the chance of your fingerprint card being rejected due to poor quality fingerprints. 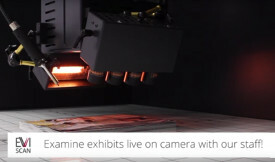 if you have any problems or queries about how to record your fingerprints the FBI also provide advice, this can be found at: https://www.fbi.gov/services/cjis/fingerprints-and-other-biometrics/recording-legible-fingerprints. For forensic scientist the use of the FBI fingerprint card being linked to an identity history summary is very useful and has a high significance to evaluating fingerprint evidence. For the most part fingerprint evidence; when not circumstantial to already known individuals in a case, can be hard to evaluate if you don’t have anyone’s to compare too. This is why the FBI created the Integrated Automated Fingerprint Identification System (IAFIS) in 1999 to store all fingerprints taken from criminals and people who have submitted fingerprints to access their identity history summary. This database can then cross reference any found fingerprint to anyone in the database to try and find a match. For more information about how fingerprints are evaluated and found on items to then be cross referenced check out the rest of the Eviscan site for the latest fingerprint technology.